A modern classic! 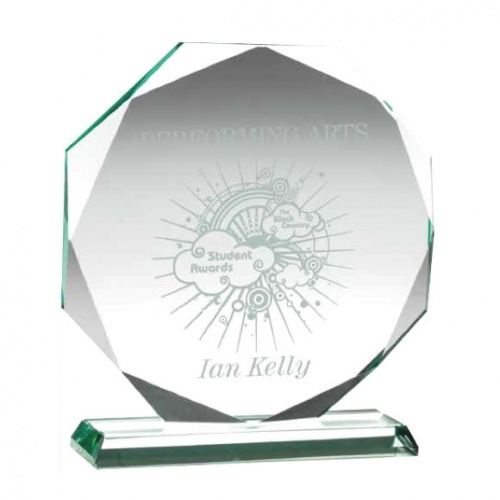 These facetted octagon glass plaques are hugely popular as awards trophies for a wide variety of events and achievements. This particular award is crafted in 15mm jade glass and is suitably weighty to hold. The flat front of the award provides a large area for engraving of winner or event details. They are also suitable for colour print branding (please use Request Quote tab, above, for a quote on colour print options). 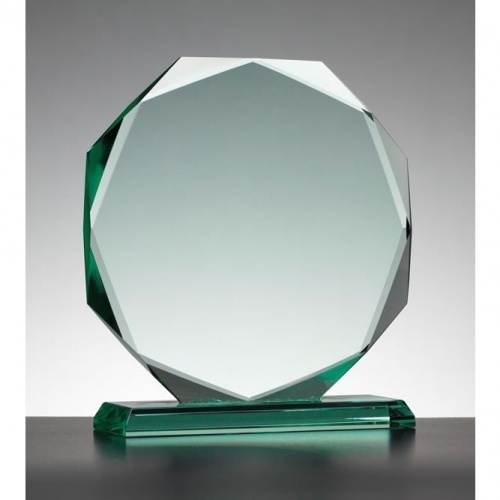 Available in three sizes up to 8.75in (222mm), each jade glass octagon award is supplied in a quality presentation case.